Dynamic and cosmopolitan, the city of Coimbatore is predominantly a commercial hub. However, the city does offer tourists with awe-inspiring attractions and plenty of touristy things to do. The city is well connected by roads and rail. Visiting this city is good if you love to spend your time outdoors. The city is buzzing with activity and is blessed with rich history, so there are many touristy things to do in and around Coimbatore. Find amazing attractions to visit on your next holiday in Coimbatore. Best Time to Visit: Visit here between November and February, as that’s when the climate is pleasant. If you love summers, visiting during the months of April and May isn’t a bad idea. Great for trekking, the Monkey Waterfall is surrounded by scenic views and miles of greenery. Visit here if you love nature and the mountains. Monkey Falls is great for romantic walks and trekking. The waterfall is well connected to the highway, so getting here is pretty easy. It is suitable for families, groups, couples, and adventure seekers. Carry your own or buy water at the entrance gate of the waterfall. Avoid trekking to the waterfall in the monsoon. A popular tourist spot, Singanallur Lake is well known for migratory bird spotting. Each year, hundreds come here to watch birds such as Asian Palm Swifts, Pallas Gull, and Cormorants. If you are a bird lover, the best time to visit the lake is during the winter. Summers, on the other hand, are best for picnics. Do bring a camera along. A visit to the Siruvani waterfall is for those who love the outdoors. It is safe to swim under the waterfall. If you’re travelling by car, you’ll have to park your car at the entrance and hire a jeep or a safari bus to go up to the falls. Trekking to the falls is very tedious and tiring, but if you can manage the climb, it’s worth the effort. A visit to the waterfall isn’t advisable for the elderly, though. Also avoid going to the Siruvani Waterfalls during the monsoons. The Amravathi Dam is a great place for strolls and romantic walks. Come here to spot crocodiles at the nearby facility. The grassy section of the dam is ideal for picnics or just lazing around. The best time to visit is during the monsoon. The Marudhamalai temple is an excellent exhibit of true Dravidian architecture. A popular temple, hundreds of devotees visit the Marudhamalai daily. On your climb up to the temple using the stairs, you’ll get to see a panoramic view of the valley. Footwear inside the temple isn’t allowed. You’ll have to keep it in your car or hire lockers available at the temple. A modern temple, the Dhyanalinga Temple is surrounded by the greenery of the Velliangiri Mountains. The temple is famous for carrying the Dhyanalinga; the largest mercury-based live linga in the world. The temple also has a yoga centre attached to the main building. The best time to visit is during the Mahashivratri festival. Come to the ISKON temple and bask in traditional Tamilian architecture. While you’re at the temple, don’t forget to visit the gallery that displays the history of the ISKCON movement. The Eachanari Vinayagar Temple is a well known for housing the largest idols of Lord Vinayaga in India. Visit the temple to take part in the daily pujas and aartis. It is best to visit here when the Chathurthi, Amavasya, Poornima and Karthika pujas are held. One day you may want to avoid, though, is the day of the Special Vahana Pooja, when thousands of devotees bring their vehicles to the temple, creating a huge traffic jam. Great for those who love architecture, the Perur Siva Temple is built in true Dravidian style. The temple is open for all to see. Inside the temple lies the gorgeous Kanaka Sabha that houses a beautiful Nataraja statue. If you love celebrations and colour, the time to visit the temple is during the month of March for the Panguni Uthiram festival. The Gass Forest Museum is a must visit for those who love forestry. Inside the museum, you’ll find many artifacts related to the forest. There are tapestries of animals, planets, and types of wood. The museum conducts guided tours to help visitors understand climate change and ecology. If you are carrying your camera inside the museum, you’ll need to pay a fee over and above the entry fee. Constructed in honour of GD Naidu, an industrialist from Coimbatore, the GD Naidu Museum displays collections of machinery and electrical works. The museum is a great place to visit for those who love electronics and cars. While visiting, don’t forget to see the working replica of the world’s first benzene-powered ICE car. The museum also houses some cool replicas of iconic cars from around the world. 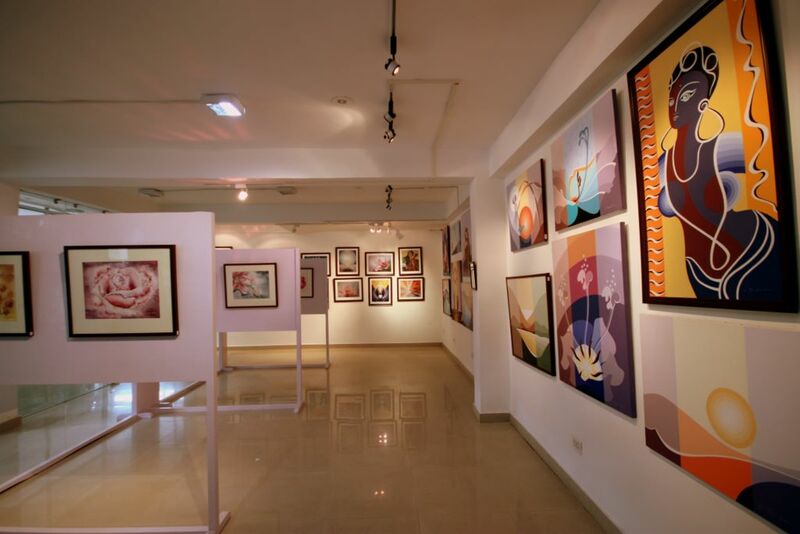 The Kasthuri Sreenivasan Art Gallery documents the rise of the Indian textile industry. In the museum you will get to see plenty of machinery and textiles. Among the many items on display, key showpieces are the whorl wheels of Egypt and the spinning wheels of Mohenjo Daro. Also on display are unique sarees and other Indian dresses. The Government Museum in Coimbatore houses different kinds of architecture and statues. Most of these are very typical of Dravidian culture. The museum is pretty small; however, they have a large collection of artifacts. There are five rooms inside the museums holding items related to numismatics, anthropology, geology, and zoology. Children will get to learn a lot about science, the planetary system, and history at the Coimbatore Regional Science Centre. Open daily, the centre has plenty of exhibits and fun activities. Group tours can be booked here; you can also participate in science workshops held at the museum. For those interested, the museum holds an audio-visual show every day. Check at the front desk for timings. Coimbatore has a mix of temples, natural tourist attractions, and cultural centres like museums and art galleries. There are plenty of touristy things to do in Coimbatore, depending on your preference. Transportation here is excellent, so traveling to see these places is not a hassle. Let us know if you find any new places to visit in Coimbatore? We would love to hear from you in the comments section.